Xero is a software company specializes in cloud based accounting for businesses across a number of industries. 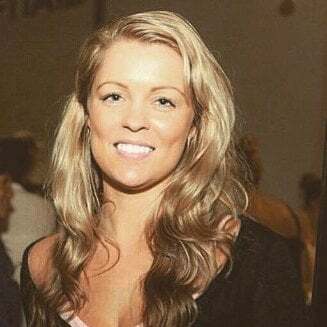 Xero has become a dominant player in their field and offers their customer base attractive integration options to make an accounting flow almost seamless. 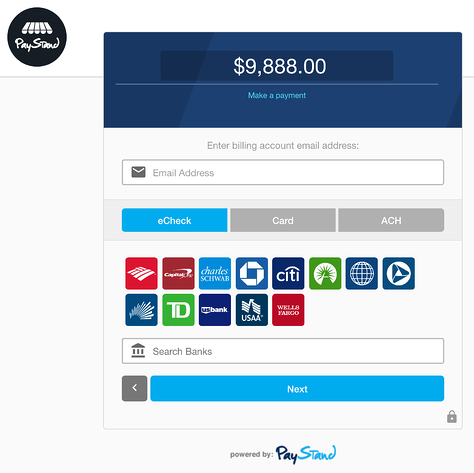 Improving Xeros velocity and their efforts to fully digitize your business stream, PayStand has created a plugin to fulfill the most important invoicing need: capturing the payment. Offered for your customers convenience, all forms of payment are presented as options – ACH, Credit Card and eCheck. The checkout is also mobile optimized for on the go payment remittance. All PayStand partners receive the Xero plugin (beta) for free and existing customers are aware of the efficiency it provides and the reduction in cost by replacing manual tasks with this automation. Cost is also cut by our low, wholesale credit card transaction rate (learn more here). If you have not experienced this yourself, here is a handy workflow of how to utilize the technology. PayStand makes connection to your Xero account easy in 5 steps, all resulting in you being able to create an invoice in Xero, and process it’s payments back into Xero to track the status of the invoice - reconciling the invoice in real-time. Note – These instructions can be found in your PayStand dashboard in the Integrations tab. If you need any assistance, we have a support team happy to be of service. Click on the “_+ Add Payment Service”_- button to open a list of options, and select the “_custom URL option_”- option. In the Add Custom URL window that opens up, name the URL “PayStand” (or any name you wish), then paste the following custom URL (replacing “<<key>> with your PayStand publishable key) in the Your Custom URL field and save your changes. Now click on 'Manage Themes' button, also on the Xero dashboard Payment Services page and apply the PayStand payment service to whichever invoice theme you want to be associated with your PayStand payment account. Back in your PayStand dashboard, please click "Connect to Xero", and this will complete your integration. 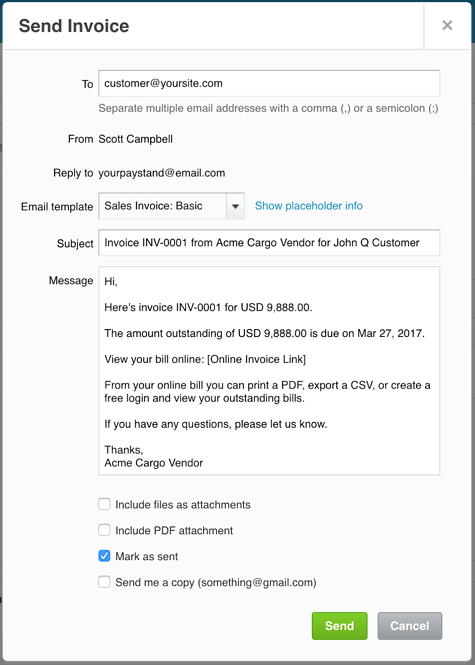 Your customers will now see a "Pay Now" button in your Xero invoices, of which they can click and pay you directly using Cards, ACH or eCheck payment. After your customer clinks on the “Pay Now” tab, it will take them to the page shown below. Multiple payment options including credit card, ACH and eCheck are at your customers disposal. This is customizable. 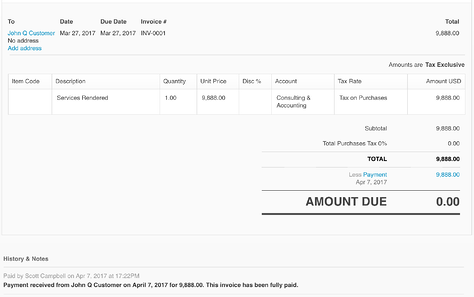 Below is your internal confirmation/notification that the invoice has now been settled. 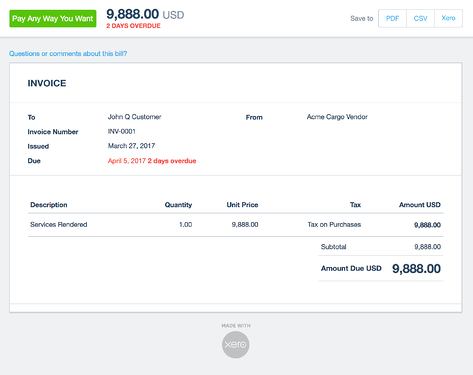 As the plugin and Xero communicate, this payment is also reflected IN your Xero records/dashboard. We certainly hope this helps your integration process as well as gives you a clear understanding of the benefits of the PayStand Plugin. 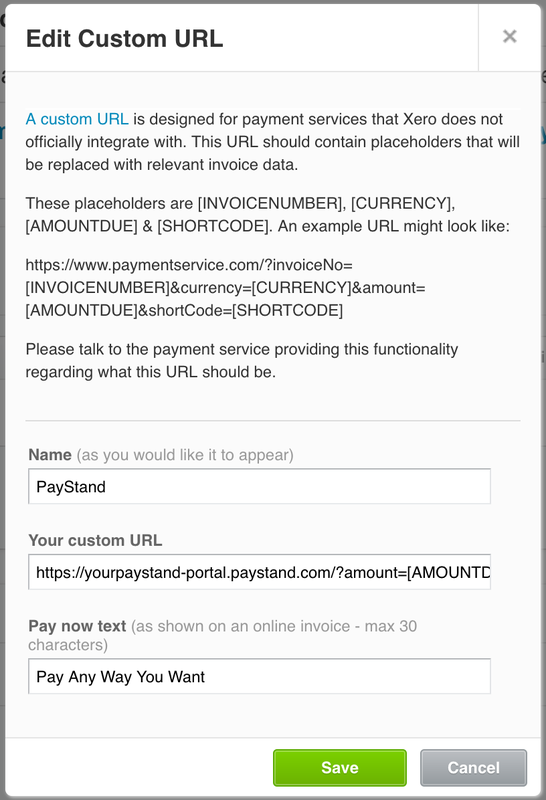 If you have additional questions or would like to inquire further on acquiring the PayStand plugin for Xero (beta), Contact US.